Our Mobile Monitoring App Is More Powerful than Your Teen’s Tantrums! Because nothing matters more than your child’s safety. Monitor all the missed, outgoing and incoming calls; even the contacts stored on a phone. Get access to all chats and multimedia from apps like WhatsApp, Messenger for Facebook, Skype, iMessage, Viber, Line, Kik, etc. Monitor phone’s location from anywhere with TrackMyFone's GPS tracking. Get all your necessary details from monitored device to your inbox in real time so you don’t miss out on anything important. Block unwanted and inappropriate apps on a phone. Block or unblock apps whenever you want and that too remotely. Mark unsafe places on TrackMyFone Map and get instantly notified when your child goes in or around them. Parents’ biggest concern nowadays is how they can get their kids to put down their phones and tablets. TrackMyFone solves this enigma by providing guardians control over kids’ screen time. So expect better sleep, improved grades and a healthier mind and body when you get Trackmyfone on their phones. You can view the apps installed on your child’s personal phone and even block the ones that aren’t suitable for them. You can block and unblock apps whenever you want. You get to manage the apps that your children can use. 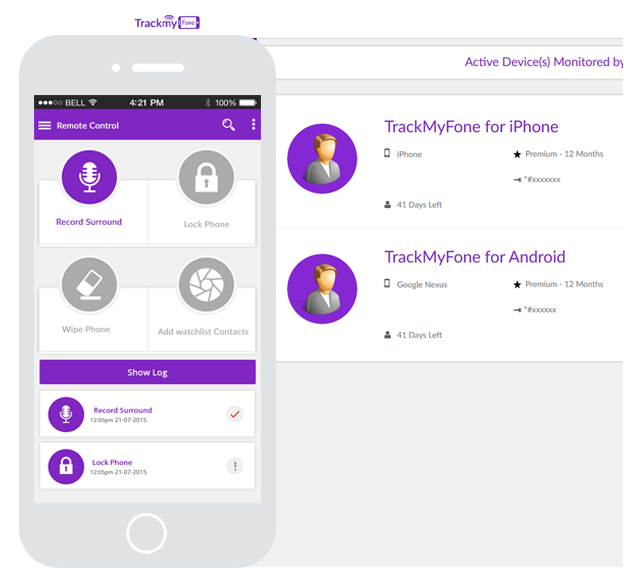 TrackMyFone is not just a digital safety tracker. It goes with your child wherever they go, providing you every update on their location. So let your kids live the real world without any fear! Are there any friends on your kids' phonebook that they shouldn’t be talking to or the places they shouldn’t be visiting? You can Watchlist their contacts, location and more when you get TrackMyFone and get instant alerts for the watchlisted activity. Subscribe to get your copy of TrackMyFone. Click on Buy Now anywhere on the site to get started. Download and install TrackMyFone on the target phone using the instructions provided via email. Log in to your account and start monitoring all the calls, texts, IM chats, emails, etc. It’s So Easy Even Your Grandpa Can Handle It! 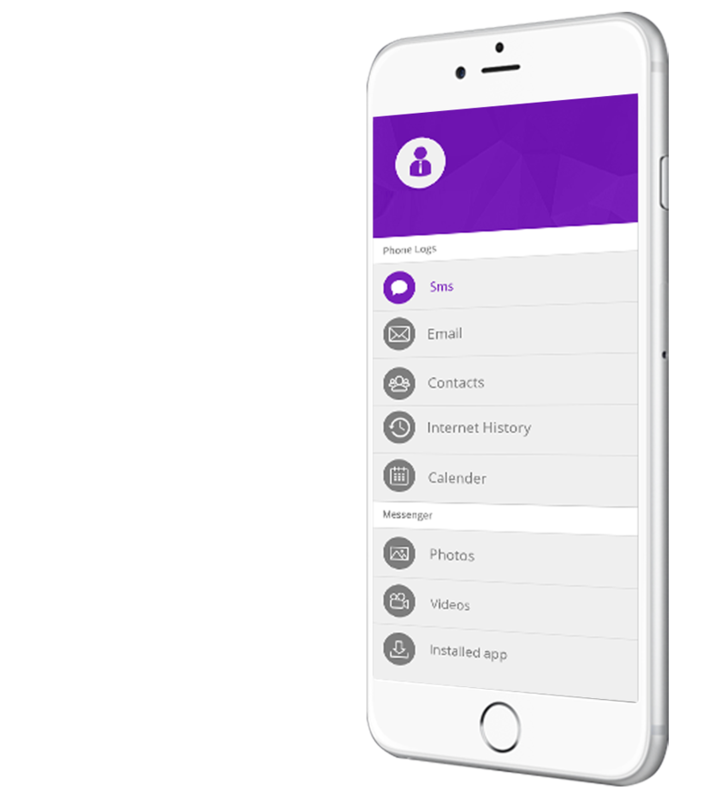 TrackMyFone is a mobile monitoring software designed for parents to look after young children under the age of 18 and employers to watch over their employees that are using company provided mobile devices. TrackMyFone buyers need to have written consent from their children or employees to be monitored or must own the smartphone or tablet they wish to monitor. If buyer fails to comply with the aforementioned, then they will violate pertinent law. It is the responsibility of the buyer to ensure that they comply with the laws of their country or region and use the application for ethical monitoring only.